Drop into the action with Fortnite! Based on the smash-hit game, popular avatars are getting a touch of Funko stylization. This 5 Star Vinyl Figure features 3 points of articulation and character-specific accessories so you can create your own storytelling moments. 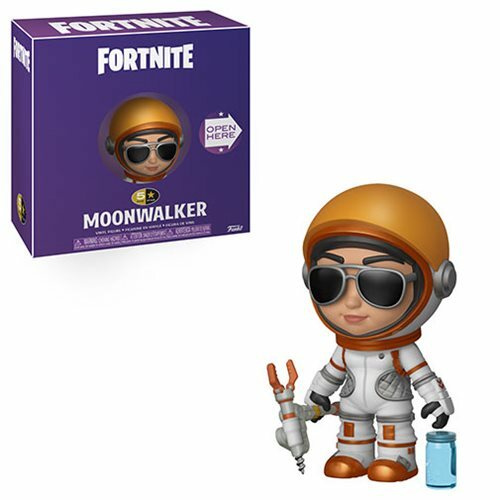 The Fortnite Moonwalker 5 Star Vinyl Figure measures approximately 3-inches tall, comes packaged in a 5th-panel window display box. Choose your skin with care and collect the whole team to create your own epic showdowns! Ages 3 and up.